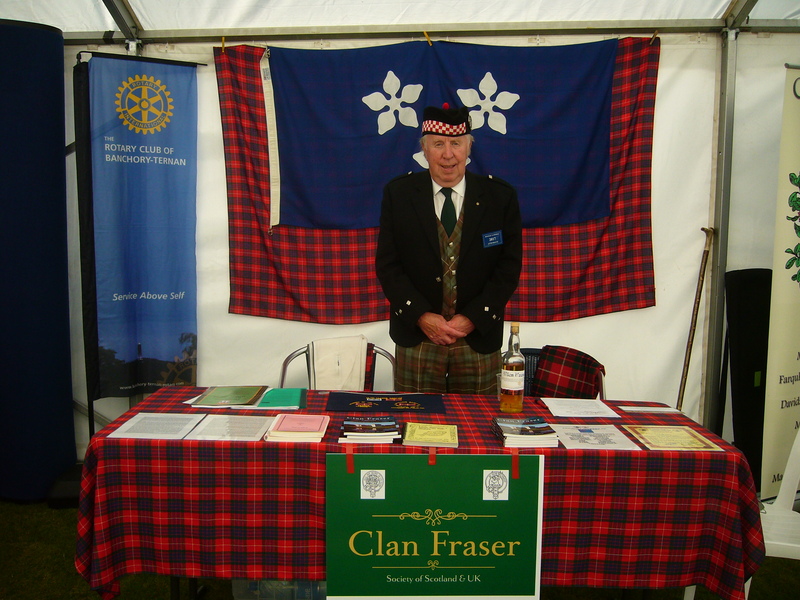 We’ll again be represented at the Gathering on 7th September, our Events Secretary, Donald and his wife Ann will man the Clan Fraser table within the Overseas Tent, they’ll also have our new Fraser Banner with them. Go and say hello and join, if you’re not a member. In looking for information on our October Event in the Borders, we came across this website, it’s well researched by an elderly gent, Tony Hope and it covers the early days of the Frasers in Scotland, well before we moved North and became the clan we are. http://www.ajbhope.net/tweedsmuir-parish-history-2/ then scroll down. Unfortunately, the 78th Frasers Highlanders visit mentioned below has been postpones, more news when a new date is fixed. 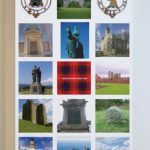 “Castle Fraser will feature in a link up to Athens, Alabama who are celebrating a 200th anniversary and will be twinning with Stonehaven, one of our local towns. We look forward to welcoming visitors from Alabama next year.” Of course, as we all know, Cowie is in Stonehaven. “Next year – We are looking forward to a visit from the 78th Fraser Highlanders from Canada on 4 April 2019.” More news on that when we get it. Following the great success of our Clan visit to Worcester we have now planned a visit Peebles. The date of this event is Sat/Sun 12/13th Oct 2019. 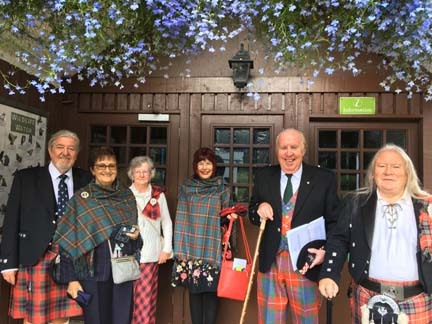 We have arranged a private tour of Neidpath Castle, originally a Fraser castle and famous for its connection with Sir Simon Fraser, The Patriot, followed by a Clan Fraser Dinner at the Tontine Hotel, both on the Satuhttp://fraserclan.net/?page_id=37rday. On the Sunday we are visiting the Borders Distillery in Hawick, which markets Clan Fraser Whisky in honour of our clan connection to the Borders. We’ve a new advertising stand, it went down well in its first use at Worcester, then at the Braemar Gathering. Click image to see full size. 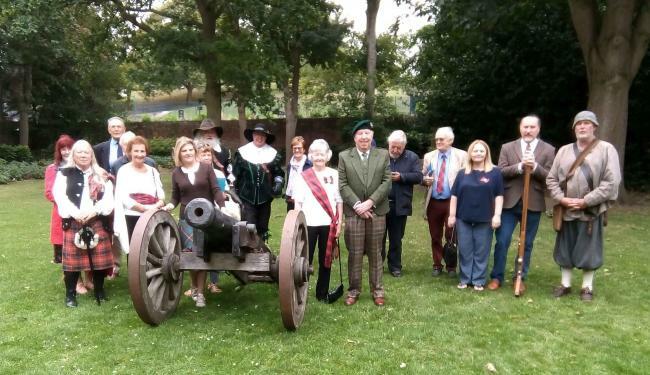 We made the front page, https://www.worcesternews.co.uk/news/16951749.clan-fraser-return-to-worcester-four-centuries-after-epic-civil-war-battle/ many thanks to The Worcester News for an excellent article. 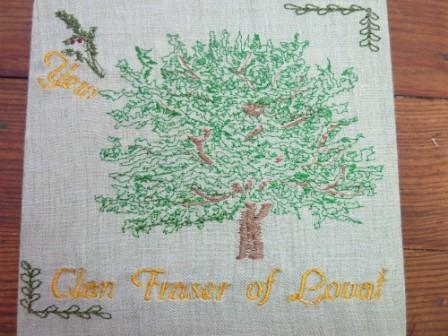 A great day was had at the Clan Fraser table and the image is the new Games discovery centre. 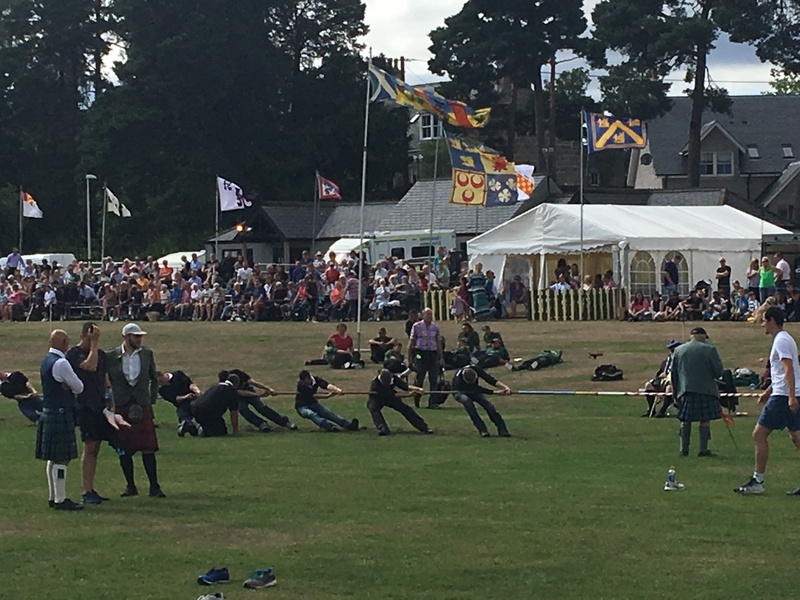 Ken Fraser and his wife had another successful day at the Aboyne Games and the Editor made it too but he wasn’t pulling the ropes. 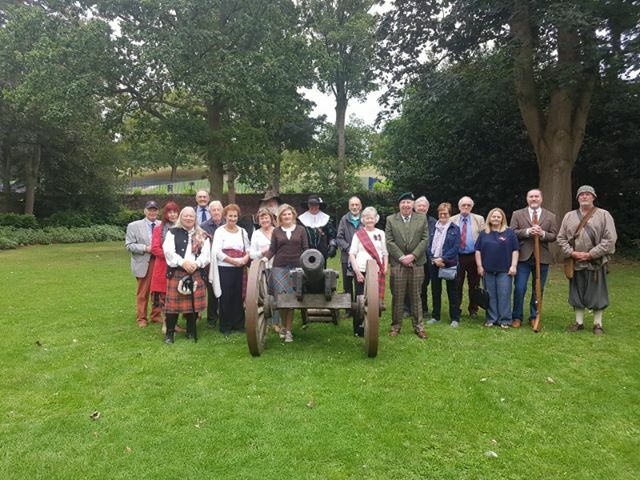 What an event that turned out to be, many thanks to Donald Fraser-Clark for organising it, our members for coming along, especially Kate, Lady Saltoun’s daughter, who missed her own grandson’s christening to be there. 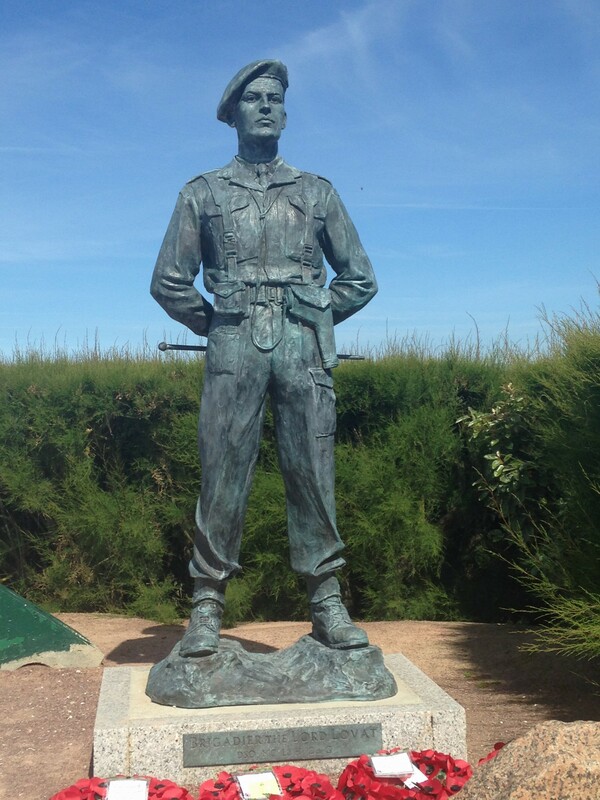 However, we have to emphasise how much we appreciated the help, cooperation and organisation we had from the Battle of Worcester Society the tour they organised was fascinating and exhausting and the meal in the evening was even more fascinating and exhausting. The full story will be in November’s Newsletter, along with some amazing photos, the last time Clan fraser was there they shot at us but this time we were made very welcome. Sarah Fraser’s new book, The Prince Who Would Be King, was made in to a BBC TV series, it’s been broadcast already but look out for repeats. Read about Sarah and her book on https://www.sarahfraser.co.uk/ There’s also a new article in our March Newsletter, which is out soon. Every year on the Saturday nearest the anniversary of the battle, which took place on 16th April 1746, there’s a commemoration and wreath laying at the battlefield itself, this year it’s on Saturday 14 April 2018. 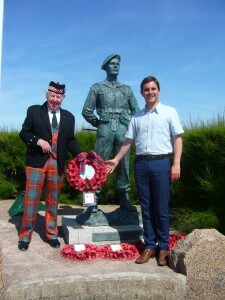 We will be represented this year by one of our members, Julian Hutchings from the Alliance France-Ecosse. One mystery solved, another starts. What were believed to be the remains of the last man to be beheaded in Britain are in fact those of a headless woman, forensic scientists have said. Simon Fraser, 11th Lord Lovat and known as The Old Fox, was executed in London in 1747 because of his support for Bonnie Prince Charlie. His headless body was taken back to Scotland and placed in a mausoleum near Inverness, according to his clan. But scientists have found that the bones are of a woman aged 25 to 35 & she could be a Fraser. You couldn’t write this story, headless young woman buried secretly in a mausoleum!!! More news will be posted when we have it. 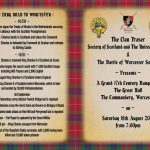 Many members will know that on 3rd September 1651 the last battle of the Civil War took place at Worcester where a 16,000 strong, mainly Scottish army, fought on the side of Charles 1st of Scotland (who, upon the restoration of the monarchy, became Charles 2nd of England) with the aim of restoring the Stuart Kings to their original position. 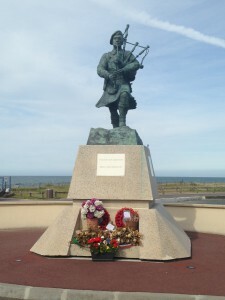 We believe that many, many Frasers, including a regiment of 800 men under Alexander Fraser, Laird of Philorth and men under another Alexander Fraser, Master of Lovat, took part in the battle. 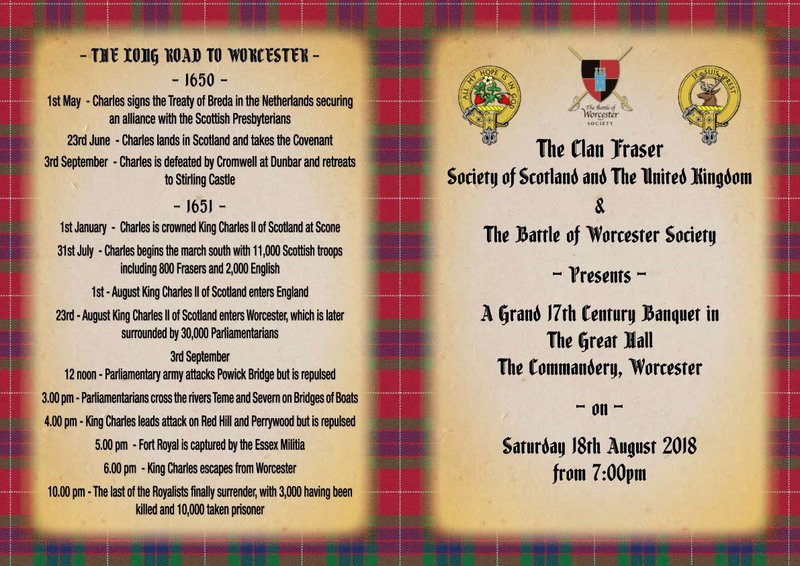 We have been working with the Battle of Worcester Society and have devised a visit to include a tour of the battle grounds on which the Frasers fought together with an audio-visual presentation of the Battle to be followed by a Clan Fraser Dinner in the Great Hall of the Commandery, the Royalist command centre during the battle. We plan to hold the event on a Saturday in July or August next year. We are still at the planning stage and more details will be published in our next full Newsletter. 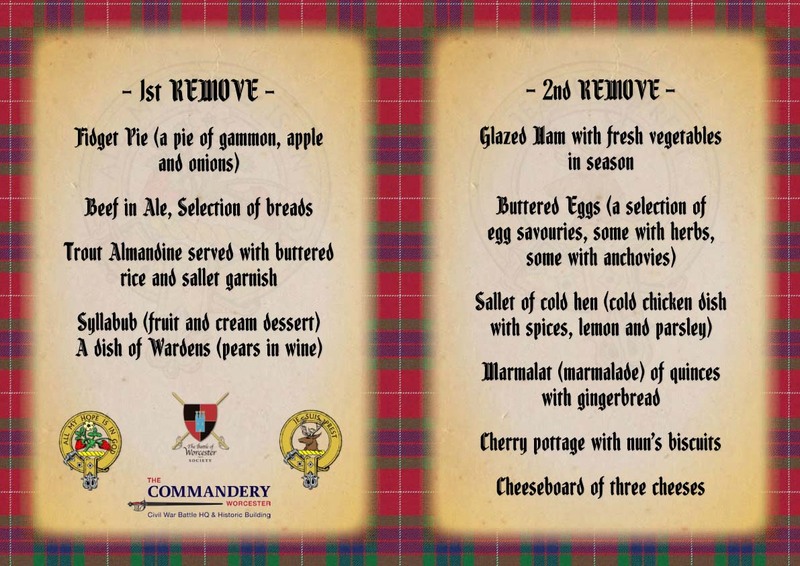 It should be a very interesting and novel day followed by a Clan Fraser Dinner, recent ones which, at The Edinburgh Tattoo and Airth Castle, have been very successful. 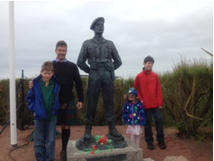 Watch out for more details in the future and please consider coming along with your families, your children, your friends to celebrate the part the Frasers took in this important battle. Donald Fraser-Clark, Events Secretary. NTS Archaeologists organised this free event on the lawn in front of the Castle to introduce archaeology to the public. Over 250 adults and children enthusiastically took part over the 2 days and the highlight of the weekend was the discovery of a Tudor period (circa 1570) half a silver coin. Hopefully everyone took part in voting for the Woodland’s Trust competition to find Scotland’s oldest tree. We put forward our Holly Tree on the East Lawn which to our delight won a nomination and the result will be announced at Holyrood Palace on 6th of December – watch out for the result on the Castle Fraser website. We celebrated this occasion by organising a unique “Strip the Willow” record-breaking attempt. Although over 600 people took part, we did not achieve the largest “Strip the Willow” but have applied to set the record for the “longest”. This stretched from the Castle all the way down to the bottom of our event field. It was a very successful, happy occasion with people asking us to try again next year – which we will, of course! We’ve been in Spain and missed the early parts of this story. 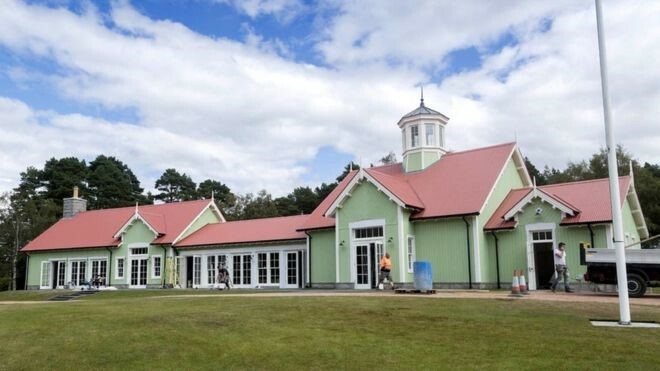 You couldn’t make it up, we’ve visited Wardlaw many years ago and know the rumour but it’s evolving into fact. http://www.bbc.co.uk/…/uk-scotland-highlands-islands-414831… We await the DNA results with the knowledge they’re probably true. We’re delighted to announce a new position in the CFSSUK. Donald Fraser-Clark has accepted the new post of Events and Social Secretary, we wish him the best of luck and look forward to working together. 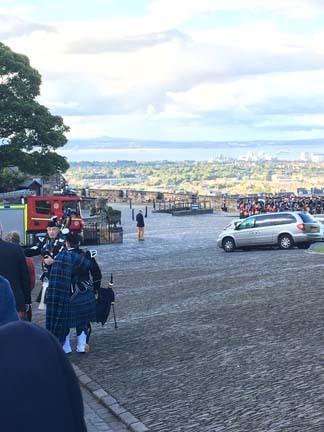 What a day it turned out to be, first our CFSSUK dinner, our walk up the Royal Mile after, then we were met and escorted into the castle itself, the clan chiefs had recently been the first Highlanders ever invited into Edinburgh Castle and here we were following in their footsteps. 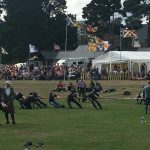 We had an excellent reception from the Castle Governor and the Head of the Tattoo, a short instruction from the army, as to what we were to do and off we went over the drawbridge and into the arena, for the toast. We all felt terribly honoured and very lucky to have been part of this occasion and have many memories of it, to see behind the scenes and be part of it, as well, was really something. I’m arranging for CFSSUK members and those who supported us, on the day, to have internet access to all the photos, join us now, if you’d like to see them. To celebrate our 40th anniversary open to the public, we would like to invite you to join us on Saturday 9th of September 2017 at Castle Fraser (Sauchen) to take part in a Guinness World Record, the Largest Strip the Willow. We are delighted to announce that STV’s Andrea Brymer will be hosting our event along with Iron Broo who will be piping us to success! Our event is being managed and supported by Norman Fiddes (Piper with Turriff & District Pipe Band and Vice President) and Robina Addison (Gordon School of Dancing) both owners of Briky’s Country Store in Dyce. We’d like to welcome all companies to take part as this is such a fantastic team building opportunity as well as a great platform to advertise your business. Wear t-shirts and bring banners to celebrate your company, we’d be happy to display them to show our support for your help. 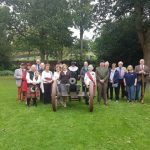 Homecoming for Historic Map: An incredible map dating from the 17th century has returned home to the Aberdeenshire estate where it was discovered in the 1980s. The ‘chimney map’ is now known to be one of only 3 created by Dutch engraver Gerald Valk. It was found in Drumnahoy House, which was, at that time, part of the Castle Fraser Estate. Family Days Out at Castle Fraser: Our programme of events for the year includes “Game of Clans” – featuring Swordsman & Falconry Displays, “have a go” Archery, a Caber Toss and lots more. Gillebride MacMillan who stars in the Starz “Outlander” series, will be regaling visitors to the castle with traditional Gaelic songs and tales. Other events – Drystone Dyke courses; Caring for Collectibles; Story telling with Mothers & Toddlers; Bat Survey; Pond Dipping; Wizard School and lots more! 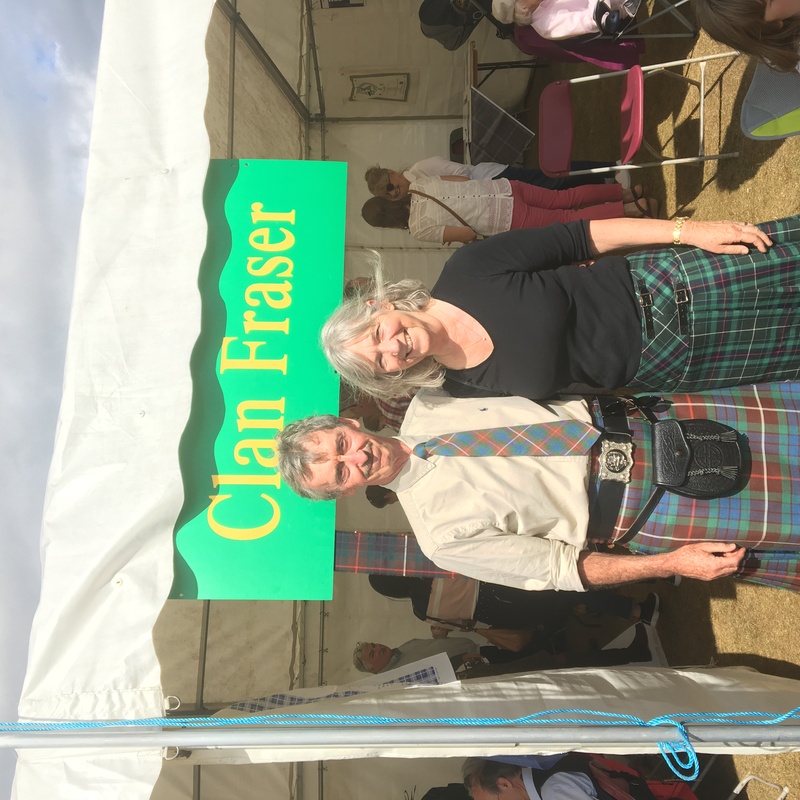 We’re delighted to announce that we will have a presence at the fantastic Braemar Gathering Donald & Ann Fraser-Clark will be in the a floored marquee, called the Overseas tent, for visiting clans, representing the CFSSUK. The Gathering always takes place on the first Saturday in September and this year that’ll be the 2nd. 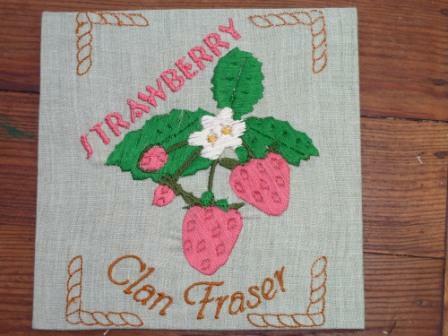 See our brand new webpage on the 78th Fraser Highlanders in Canada, it’s in its own subtab under the History tab. 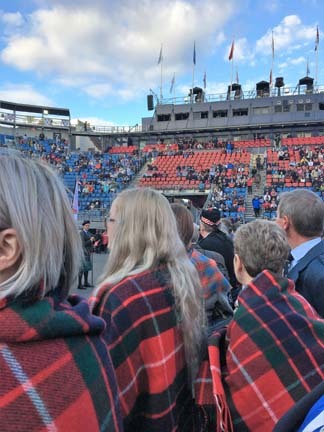 The Royal Edinburgh Military Tattoo has unveiled the 2017 theme as “Splash of Tartan” taking inspiration from VisitScotland’s events for the year, Clan Chiefs have been invited to lead their clansmen to the Castle, on their own special designated evenings, and to take part in the opening ceremony of the Tattoo. 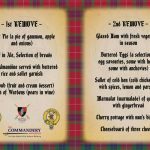 In addition, clans and families are being encouraged and identified clan chiefs will take the salute, in front of their clan members. We’ve been allocated Saturday 5th August 2017 7:30 pm performance (NB there are two performances on a Saturday) and that is a firm date, but unfortunately, our allocation is now on public sale, so the tickets could well have gone, now but a number of us did manage to purchase tickets and are looking forward to this great event. 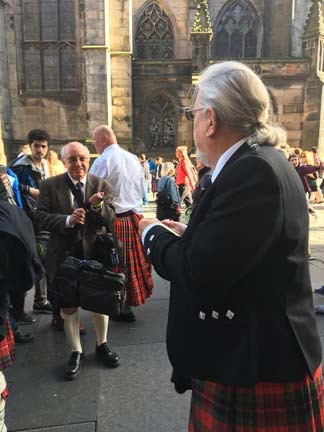 Donald Fraser-Clark has organised an early Lunch/High Tea come late Dinner on the day, at 16:00 in the Angels With Bagpipes restaurant on the High Street and we’ll wander up on mass to the Tattoo afterwards. If you want to join us at that, you’re very welcome. Contact me if you’re interested in going, using the Editor email on the Links page. We look forward to welcoming friends, old and new, to Castle Fraser this year. It will be 40 years since this beautiful building, garden and estate opened to visitors, courtesy of Major & Mrs. Smiley. Their family continue to take an interest in the Castle and this year we were delighted to receive Col. Charles Mackenzie Fraser’s military jackets, on loan, for display in the Castle, which will make splendid additions to Blanche’s wedding dress and the replicas of some of the garments which have been disintegrating, These have been replicated by our splendid volunteer, Mrs. Jane Balme. Jane now has an able assistant, Emma Murphy, who also finds time to volunteer in the gardens. We will be focusing this year on exhibitions/displays in the Castle using archive material. We are presently trying to source some suitable display cases to highlight topics such as the music of Castle Fraser; the titles and bookplates in some of the more interesting books, and featuring the childrens’ books published by Mrs. Lavinia Smiley. We also hope to use one of the rooms, currently not in use, to highlight some more of the Smiley family memorabilia. And we are delighted that the SWI will be using this space to host an exhibition for their centenary year. The second year of our tapestry project is being undertaken by local school children, and we have put together a programme of themes and enthusiasts for the next few years. This year’s theme is based on the birds and animals on the estate. Our Senior Assistant for Functions & Events has put together a busy programme of family events, including a Gin Tasting evening for Mother’s Day – highlighting Lavinia Smiley’s Orange Gin Recipe! The money from our Donations Box this year will go towards the continuing conservation care projects, such as renovations to curtains and chair covers. We are very grateful to Judy Lowstutter (Celtic Journeys Tours) who has been bringing small tour groups to the Castle 3 or 4 times a year from the U.S., for giving us a donation towards the cost of electrifying the magnificent Waterford crystal chandelier in the Dining Room. This has been on our wish list for several years and we believe it will help us to lease out this beautiful room for lunch and dinner parties. Currently the offices and long letting apartments at The Stables at Castle Fraser are empty as the NTS regional office has moved to Crathes Castle. Discussions are underway to maximise on the use of this attractive property to continue to fund the maintenance of the Castle, Gardens and Estate, and a decision is expected shortly. We re-open for the season on 1 April 2017, closing on 31 October and expect another busy year, with visitors from around the world. 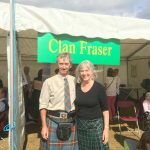 It is always exciting to meet Frasers from overseas, and the UK, who feel they have a connection to the Fraser family. 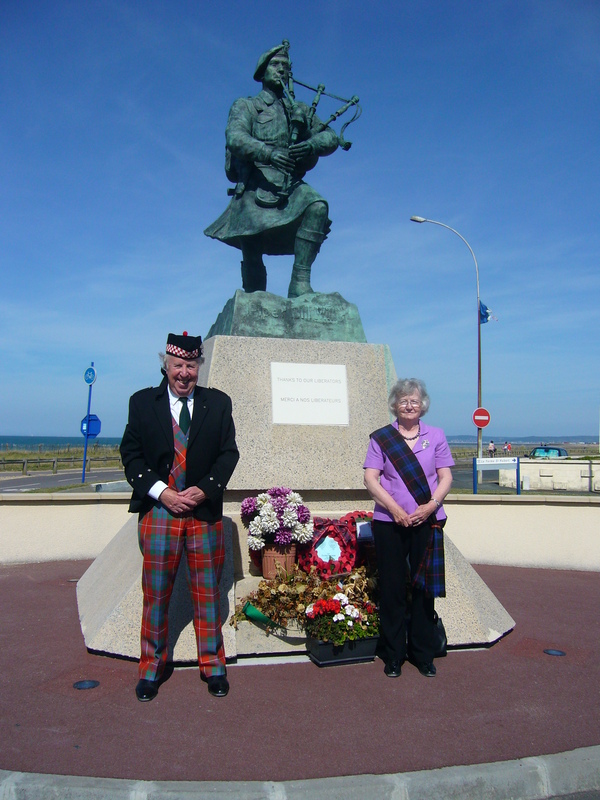 Donald Fraser-Clark, of the Society, along with his wife Ann, organised for two wreaths to be laid with the CFSSUK badge on them, at the statues of Lord Lovat and his piper Bill Millen, at D-Day’s Sword Beach, near Oisterham, Normandy. 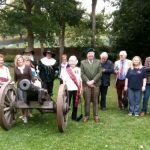 This took place in 2014 with the Mayor of Oisterham present. The Frasers fought for Scotland throughout the War of Independence, Sir Simon Fraser of Oliver and Neidpath, The Patriot was, in his day, rated more important and influential than William Wallace himself. At the Battles of Roslin, 1303, he led the Scots army in no less than three victories in one day. At the Battle of Methven in June 1306, Sir Simon Fraser is said to have saved King Robert’s life not once, but three times. After fighting for both William Wallace and Robert the Bruce, he was captured in 1306 and met the same fate as Wallace, at “The Tower”. It’s also claimed, the head of his brother, John, was also displayed on a spike on London Bridge. Sir Alexander Fraser attained high office in Scotland as Lord Chamberlain and won the hand of the sister of The Bruce, King of Scots and while he was at The Bruce’s side throughout his campaign for the throne, Alexander was at the victory at the Battle of Barra Hill, near Aberdeen with at least one of his brothers, Bruce was ill and at his lowest and this victory could arguably be classed as as crucial as Bannockburn. Also, Sir Alexander Fraser’s seal and signature appear on the letter sent to the Pope by the leaders of Scotland, “The Declaration of Arbroath”. Sir Alexander Fraser, was the eldest of the four sons of Sir Andrew Fraser, Sheriff of Sterling, d 1297, all four sons fought and then laid down their lives in Scotland’s Two Wars of Independence, Sir Alexander, 1332 Battle of Dupplin, Sir Simon, Sir Andrew and Sir James, Battle of Halidon Hill 1333. We know Sir Alexander and Sir Simon fought at Bannockburn and we like to believe Sir Andrew and Sir James were also there. Sir Andrew’s other heritage was his two sons established the roots of what was to become the Clans of Fraser, Sir Alexander was ancestor of the Philorth Line, Clan Fraser and his younger brother Simon ancestor of the Lovat Line, Clan Fraser of Lovat. AN ANCIENT mausoleum containing historic memorials to generations of Frasers is in a critical state of decay.The 200-year-old Elyza Fraser Mausoleum, a rare example of work by internationally renowned Jacobite architect James Byres, stands in tiny Cluny graveyard close by Castle Fraser near Sauchen, Aberdeenshire. 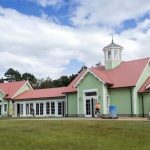 It was commissioned by Elyza Fraser herself, a characterful spinster who inherited Castle Fraser in 1792 and immediately applied herself to transforming and modernising the castle, gardens, parklands and farms. The mausoleum was completed in 1808, six years before her death. Now there are fears that her final resting place could be lost if the building does not receive urgent attention. A group of people including academics, The North of Scotland Preservation Trust, the National Trust for Scotland, Cluny Church of Scotland minister Euan Glen, and concerned local people, have formed the Friends of Miss Elyza Fraser’s Mausoleum, designed to implement essential repairs and to highlight the mausoleum’s place as part of Clan Fraser’s heritage. But before they can apply for funds, they need to find out who owns the building. So far, Aberdeenshire Council, the NTS, the Cowdrays (who bought the estate in 1921, and gifted it to the NTS in 1976) and the Church of Scotland have all confirmed they do not have title, although all are anxious to see the building stabilised.Now the Friends group is urgently appealing to any Fraser descendents, here or abroad, who might have a claim on the building. If someone comes forward, the Friends hope they can work together to progress a preservation scheme. The mausoleum is rated of European importance for its architectural, cultural, historic and artistic qualities. But it is held in huge affection locally too and there are hopes that any restoration project will involve community support.Anyone who has an interest in the Friends’ project should contact Friends chairman Steve Callaghan on scallaghan@nts.org.uk, tel 07919 693363. We entered two Clan squares into the Plantlife project, have a look at the links and find the squares via the Search keywords, also give us a vote if you want (see note and links below). Plantlife would like to thank you for submitting your 2 squares to the Patchwork Meadow and to let you know that it has arrived safely.